What’s Poppin’ Tonight! 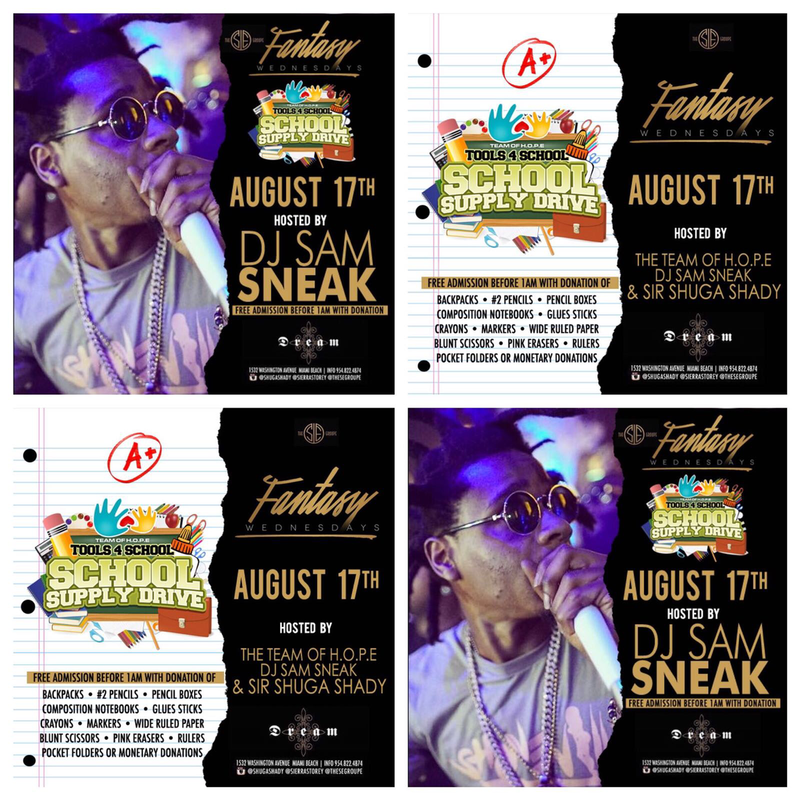 #FantasyWednesdays presents #Tools4School Hosted by Angelina 305, Royalty Manson & DJ Sam Sneek at Dream Nightclub ~ Phresh Hott New! Tonight! The S/E Groupe presents Fantasy Wednesdays “The Only Place To Be On Wednesday Nights In Miami”! Fantasy Wednesdays presents #Tools4School Hosted by Angelina 305, Royalty Manson & DJ Sam Sneek at Dream Nightclub. Plus + More Fun!